A finite operator model is applied to the propagation of light in deformed step-index fibers. 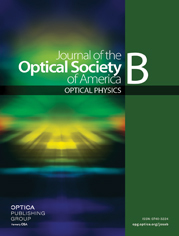 The distribution of the light captured by the fiber from an arbitrary initial excitation is illustrated in the phase space for each fiber boundary. The method proves to be promising in modeling the transmission of light in the presence of fiber asymmetries. Simulations are made of the captured power in the core in the presence of fiber deformations.